In conjunction with the opening of the Eccles Theater and the 111 high rise, and in anticipation of the new boutique hotel coming to the corner of Regent Street and 200 S, the RDA has invested funds to revitalize the old Regent Street, which connects City Creek to Gallivan Center. Soon, this street will be filled with new shops and restaurants. 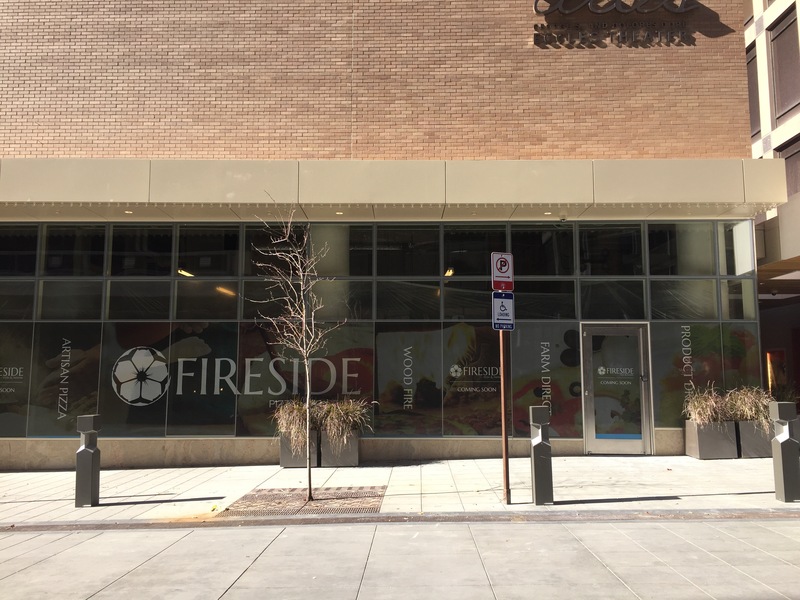 The new dining options will be a welcome addition to busy downtown. I won’t lie, I am extremely excited for this street; they are designing it in a way that is going to be very pedestrian-friendly. I visited the 16th Street pedestrian mall in Denver a few years back, and ever since have hoped for something like it to come to SLC. I think this is it, and I’m super stoked about it. New restaurants are slowly starting to trickle in. Two I have seen are Pretty Bird and Fireside Pizza and Pastaria. While still far from opening (the insides are still very bare), they should be opening in early 2017. 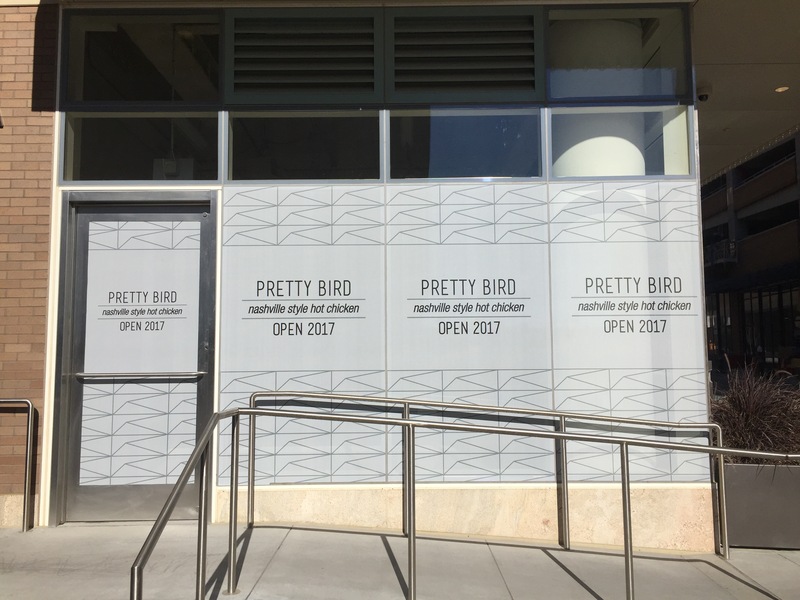 Chef Viet Pham (formerly of Forage) has taken a bit of a hiatus from cooking in the SLC to tend to his celebrity chef TV duties, so I was excited to see a recent post of his on Twitter announcing his upcoming restaurant, Pretty Bird (a play on the Dumb and Dumber scene), which will specialize in fried chicken. The space is tiny–I can’t imagine him fitting more than two or three tables in it–but from the early buzz it’s generating, I imagine he’ll be cranking out tons of chicken in no time. I have no real info on this space other than the name (Google didn’t pull anything up, either), but this is a large space with signage touting all of today’s top hits buzzwords (artisan, farm, etc.). With a “coming soon” sign, who know when opening will be, but I’m guessing sometime in Spring. So there you go. I’ll be sure to update with any more developments on Regent Street.